We Are Art Directors, Graphic Artists, Illustrators, Matte Artists, Model Makers, Production Designers, Scenic Artists, set Designers, and Title Artists. 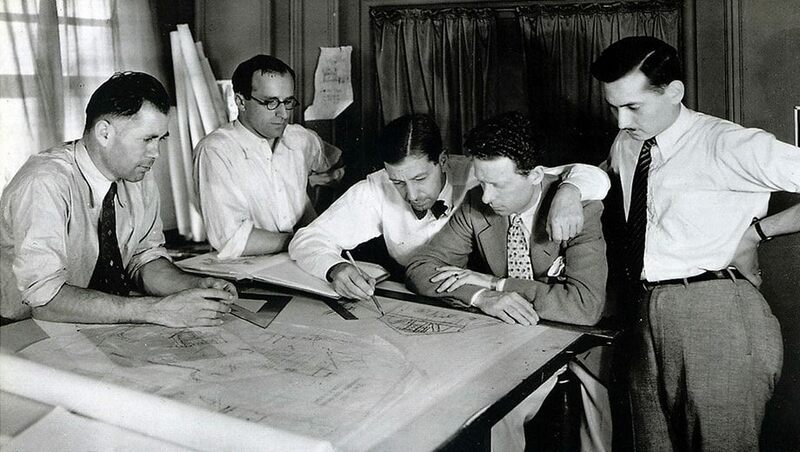 Van Nest Polglase and his Art Directors at RKO in the 1930s. The IATSE has maintained and enhanced its position in the vanguard of the entertainment industry through effective rank and file empowerment, political engagement, and our dedication to grass roots organizing. 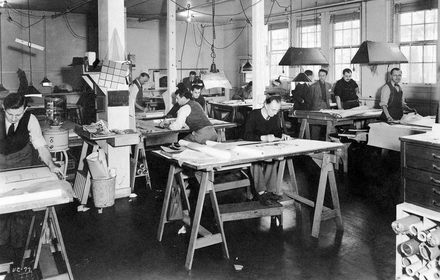 The motion picture industry employed rudimentary sets since the beginning of film, but the term Art Director was first used in 1914 by Wilfred Buckland, an early pioneer of the craft and a member of the Hall of Fame. 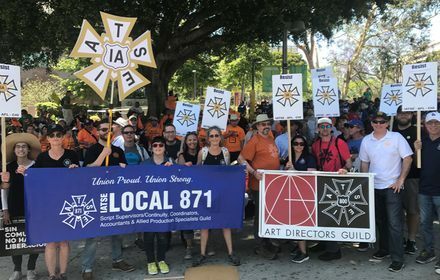 The Art Directors Guild (ADG), IATSE Local 800, is a labor union representing approximately 3,000 members who work throughout the world as Production Designers, Art Directors, Scenic, Title and Graphic Artists; Set Designers and Model Makers; Illustrators, Matte Artists, and Previs Artists. ADG IATSE Local 800 is a part of the larger international labor union, the International Alliance of Theatrical Stage Employees (IATSE). The IATSE represents over 140,000 technicians, artisans and craftspersons in the entertainment industry including live theatre and motion picture and television production, as well as trade shows, audio visual production and sports broadcast. Through the IATSE, workers have the ability to negotiate with their employers from a position of strength striving for fair wages and benefits, workplace health and safety, job training and other work-related issues. Unions also serve an important role making sure that management acts fairly and treats its workers with respect. Unions are democratic organizations with leaders who are elected by the membership.